Does back to school time mean extra stress? It doesn’t have to! So, it’s that time of year again. Getting back into the groove of things, packing lunches, homework, activities and more. A perfect time to focus on your routine! Does your routine need a reboot? For some people, especially those with younger kids, your routine may not vary much between during the school year and the summer. For most of us (especially in August), summer means laid back schedules, late nights and sleeping in. A departure from the routine is okay for a while, but then, as the first day gets closer, we start to panic! Let that panic mode pass and start with a plan! So, starting on the higher end of the range, figure out what time your kids need to get up and go backwards to figure out what time they need to get to bed. They may balk at it at first, but once they adjust, they will be MUCH happier and LESS moody! 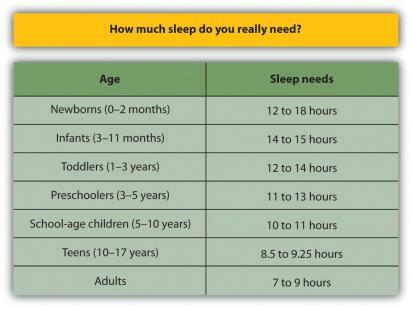 Now, do yourself a favor and figure out your own bedtime too! The last thing I’ll say about bedtime (for kids and parents alike!) is to ditch the nighttime TV, put the iPods, iPads and other electronic devices away after dinner! At the very least, set a time when texting and activities need to end (at least 2 hours before bedtime) – and PLEASE don’t take them to bed! They interrupt your natural sleep cycle and make it more difficult to fall asleep and also affect the quality of your sleep! Instead, after dinner, maybe go for a family walk, have baths/showers, then read before lights out! Now how about that morning routine? Do you allow enough time so everyone gets breakfast? Teens are notorious for skipping breakfast, but it really is important for them to eat – it’s so early and by the time they get to lunch, they are STARVING! No need! If they don’t want to eat “real food” try smoothies. It is super simple – throw some yogurt (plain or vanilla) into the blender with some fruit (whatever they like) and blend away! It takes less than 5 minutes – especially if you use frozen pre-washed fruit. TIP: wash & trim fruit – whatever combo: mixed berries, banana, etc., put into individual baggies and freeze, so you just grab out a baggie and throw it in the blender. For the younger kids, scramble up some eggs – really it takes 5 minutes! Not fans of eggs? Skip the cereal, put out a bowl of fruit and some yogurt. Try oatmeal or quinoa; frozen waffles are okay too, but serve with some fruit instead of syrup. So, do you have a plan for dinner? If not, you might want to join me for my meal planning workshop (details in the left column)! Take the stress out of dinner time! I know it’s so easy to write about a routine but implementing it can be challenging! Just try one change at a time and figure out what works for your family!